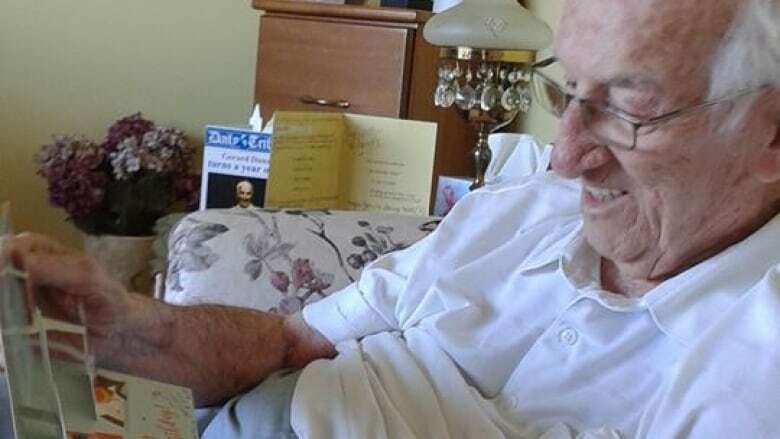 The love within the envelopes coming from around the world has overwhelmed a Cape Breton man opening them for his 92nd birthday — the first without his beloved wife. 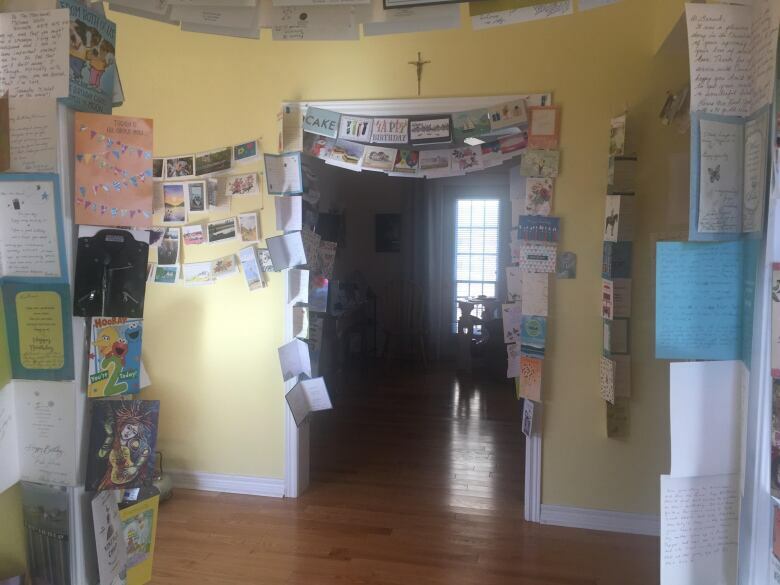 It's difficult to imagine the sheer space that 4,500 birthday cards can consume. They sit on tables and hang on strings. They cover walls. 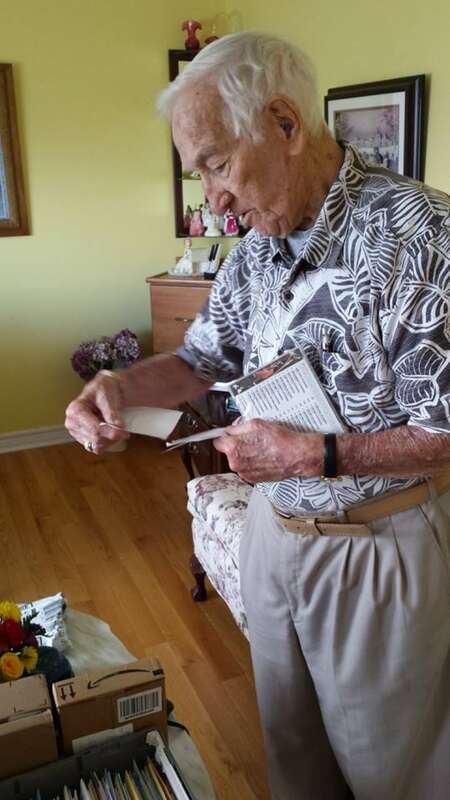 And the love within the envelopes coming from around the world has overwhelmed the Cape Breton man opening them for his 92nd birthday — the first without his beloved wife. In a sense, Gerard Dunn's birthday began last month when his daughter Miriam posted an appeal on social media. Since her mom died this past spring, her dad waits for mail every day, and Miriam asked people to send him a card or letter for his birthday. And his well-wishers are doing much more than just signing a card and sticking it in the mail. ATTENTION FRIENDS: Since Mom died this past Spring, my 92 YO dad waits for mail every day. Listens for the squeak of the mail slot opening. His BDAY is Oct. 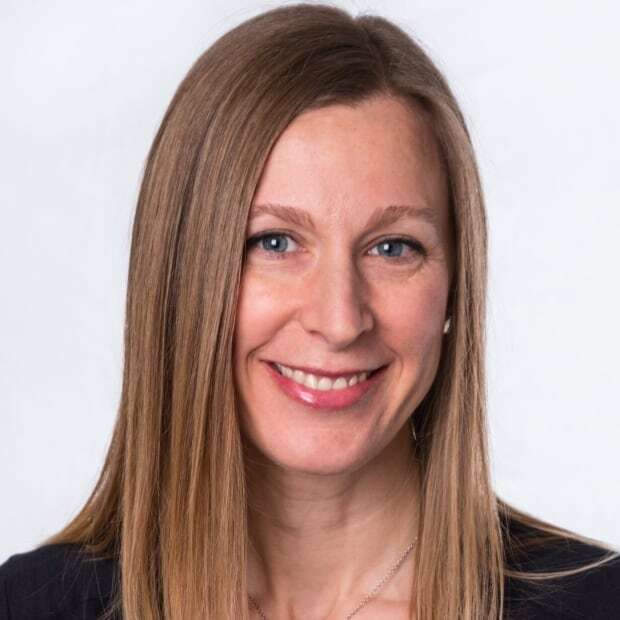 Please mail a note, card, picture, map or story to<br>Gerard Dunn<br>96 Summerhill Avenue<br>Sydney, Nova Scotia<br>B1R 2L4<br><br>Thank you. "The beauty of it is they take the trouble to write on every available space on the card," Gerard said. "Sometimes they have to attach a piece of paper to make sure that they've got all their feelings on it. Now that's what I call caring. And it just amazes me and I'm so thankful." Gerard's other daughter has been following her dad's mail bonanza from her home in Ontario. When Comilla came to visit, she said she was floored by what she found. "When I came through the door … and seeing it, it's overwhelming. It's just hard to believe what thousands of cards look like," she said. People who have lost spouses or parents have written, expressing their sympathy and shared experience, Miriam said. One young man going through his own heartbreak wrote to ask Dunn if he had any advice. "We're just so amazed at how much love there is out there and how much kindness there is in the world," Comilla said. "So it's an incredible love story." And it's been a fitting tribute to the love story between Gerard and his late wife, Ellen. "She never left a moment, she never left a meeting, she never left a handshake or a hello without making the other person feel important and special," Gerard said. "She had that gift." Dunn said she would have been amazed by all of the cards and letters. "She'd have something special to do and say about every single one." Miriam, Comilla and other family members have helped to open it all, but Dunn has looked at each piece of mail himself. He plans to spend the next few months going through them all again at his leisure. "I got my winter's enjoyment all planned, " he said. "I'll have to wait until I calm down … I couldn't do it now, I break up too easily. I'm a softie."